Great floor plan in two bedroom, very relaxing and spacious. The airport shuttle and staff at the front desk is seriously amazing. I had a last minute booking and they were so accommodating. The room was beautiful and comfy. I seriously appreciate the airport shuttle being complementary and still coming out to the airport to pick me up even after hours. Thank you! The room setup of the suite was nice, the outdoor pool was great, location is great (close to downtown and airport). The room layout was wonderful loved it. I asked for a crib and it was placed in the room when I arrived. The location felt like a safe place to stay. Best breakfast I have had in a hotel. Very comfortable, easy access from the highway, big and nice room, friendly staff. Checkout at 12:00 wag great: I could take a shower after running California International Marathon on Sunday morning and checkout afterwards. Room size was great, loved the kitchenette with all dishes and silverware available. Very spacious. Stayed across the way from friends which was easily accommodated at check-in. Very comfortable - just like a home away from home - loved it! Lock in a great price for Residence Inn by Marriott Sacramento Airport Natomas – rated 8.8 by recent guests! Residence Inn by Marriott Sacramento Airport Natomas This rating is a reflection of how the property compares to the industry standard when it comes to price, facilities and services available. It's based on a self-evaluation by the property. Use this rating to help choose your stay! In the Natomas area, just minutes from the Sacramento International Airport, this all-suite property offers guests all the comforts of home combined with contemporary amenities. 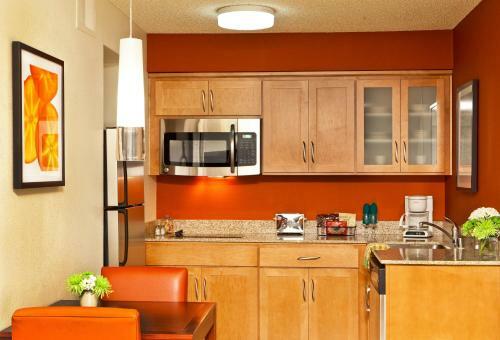 Residence Inn Sacramento Airport Natomas offers a daily complimentary hot breakfast buffet. It features an outdoor pool and on-site tennis courts. Wine and soda are served at the evening social. Accommodations boast full kitchens with refrigerators, stoves, dishwashers and microwaves. 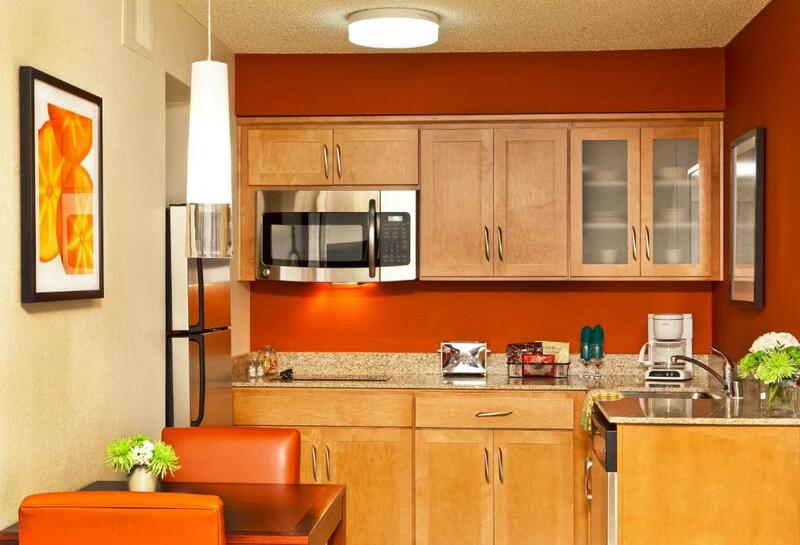 Guests will also appreciate Residence Inn's separate work areas and premium cable TV. Sacramento Convention Center Complex is a 7 minute drive from this hotel. William Land Park Golf Course is a 10 minute drive away. This property is also rated for the best value in Sacramento! Guests are getting more for their money when compared to other properties in this city. When would you like to stay at Residence Inn by Marriott Sacramento Airport Natomas? Provides a sitting area with sofa bed and a fireplace, as well as a full kitchen. Includes 2 bathrooms, as well as a full kitchen. 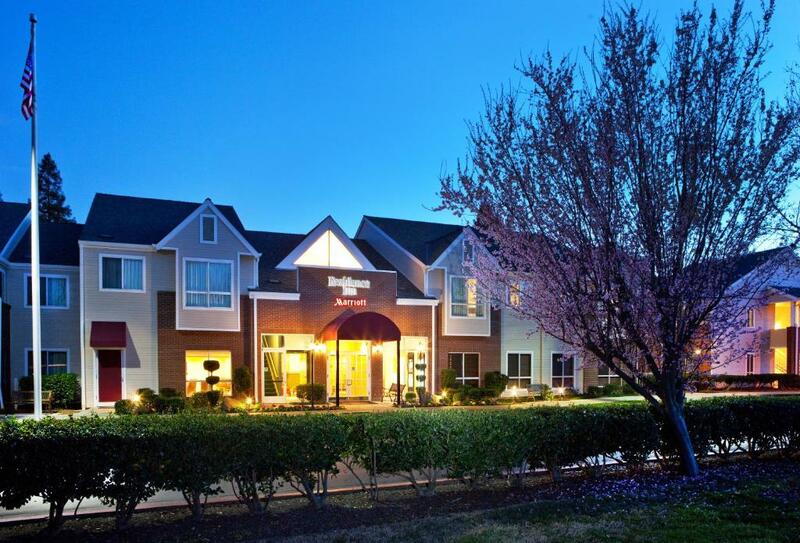 The Residence Inn by Marriott Sacramento Natomas hotel is conveniently located 3 miles from downtown and Old Sacramento; 9 miles from the Sacramento airport and 35 minutes from wine tasting in Amador County, Lodi/Woodbridge or 1 hour from Napa. House Rules Residence Inn by Marriott Sacramento Airport Natomas takes special requests – add in the next step! Residence Inn by Marriott Sacramento Airport Natomas accepts these cards and reserves the right to temporarily hold an amount prior to arrival. A damage deposit of USD 300 is required on arrival. This will be collected by credit card. You should be reimbursed on check-out. Your deposit will be refunded in full by credit card, subject to an inspection of the property. Breakfast was good and so was the location. Scented cleaning products give an artificially “fresh” smell that is intense, I prefer unscented. Smells fake and institutional and overpowering. Noise on stairs - in future would ask for a 2nd floor apartment. Very spacious proper 2 bedroom suites. A little noisy you can hear everything outside. Had to go to office for ice. Had a fireplace but you had to buy the log. Some leftover candies were in the room from previous occupants. Other than that everything was well maintained. A cigarette underneath the bed found by my 2yr old. A red hair in the wall of the shower. Very noisy refrigerator, I had to disconnect its power. A little pricy for hotel near the airport away from downtown. Only complaint was the lack of kid tv channels. (My kids are 6 and 2.) Nickelodeon and Cartoon Network were the only options and both had questionable shows on. Disney or Nick jr would be a great addition. A USB Charger in the room would have been great! Bathroom needed a little repair.